Join us for fantastical stories based on myth, fairytale, philosophy and, scarily (if loosely), fact. 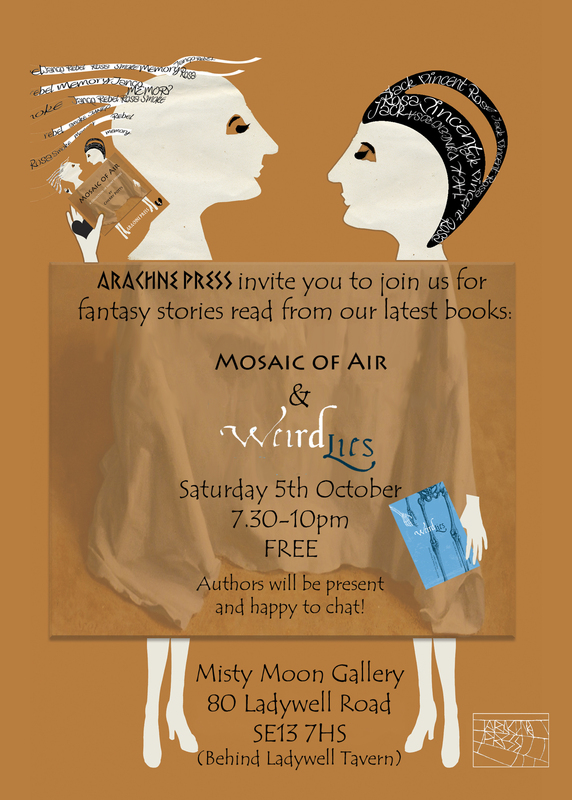 An informal event with readings of the more fantastical stories from Mosaic of Air and Weird Lies. This entry was posted in Events, Launch, live literature, readings and tagged Alistair Lock, Angela Trevithick, Cherry Potts, Cliff Chapman, David McGrath, Misty Moon Gallery, Rebecca J Payne, Tom McKay by Cherry Potts. Bookmark the permalink.